Aqueon Designer 8.75G LED Shrimp Aquarium Kit presents a unique viewing perspective into the aquarium. 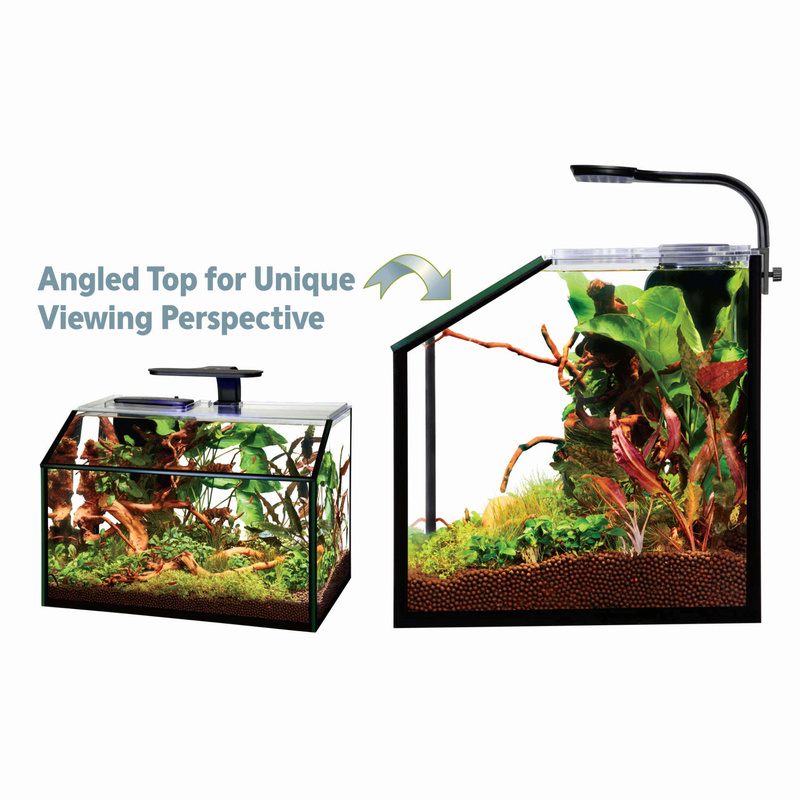 This glass aquarium features an angle top pane of glass allowing for unobstructed top down view into the aquarium. 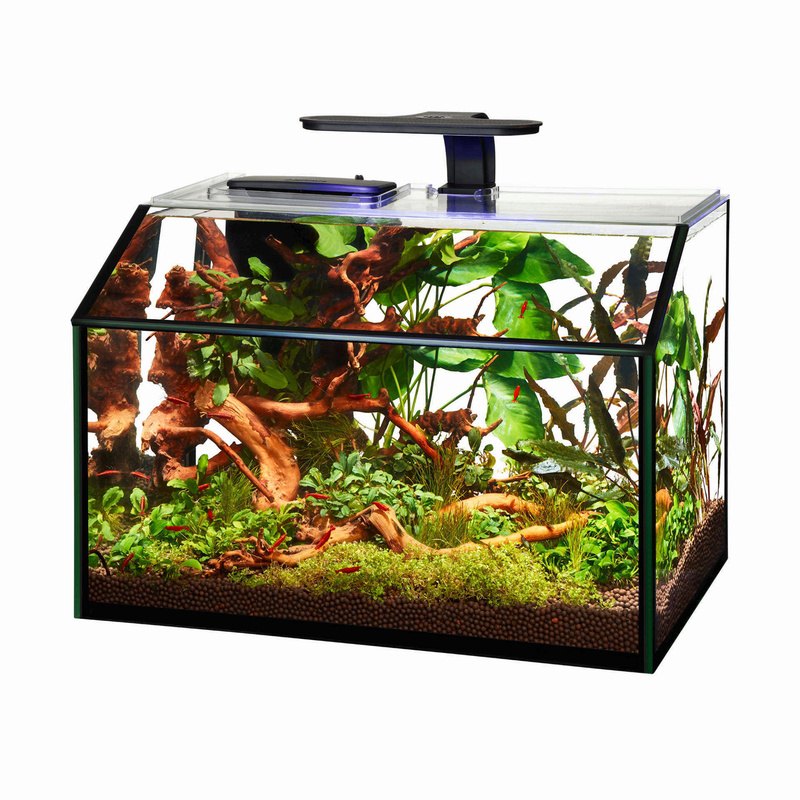 The clear plastic lid completes the modern, contemporary look. For lush freshwater plant growth, a clip-on light with 60 bright LEDs stimulate plant growth; along with 10 pounds of substrate. 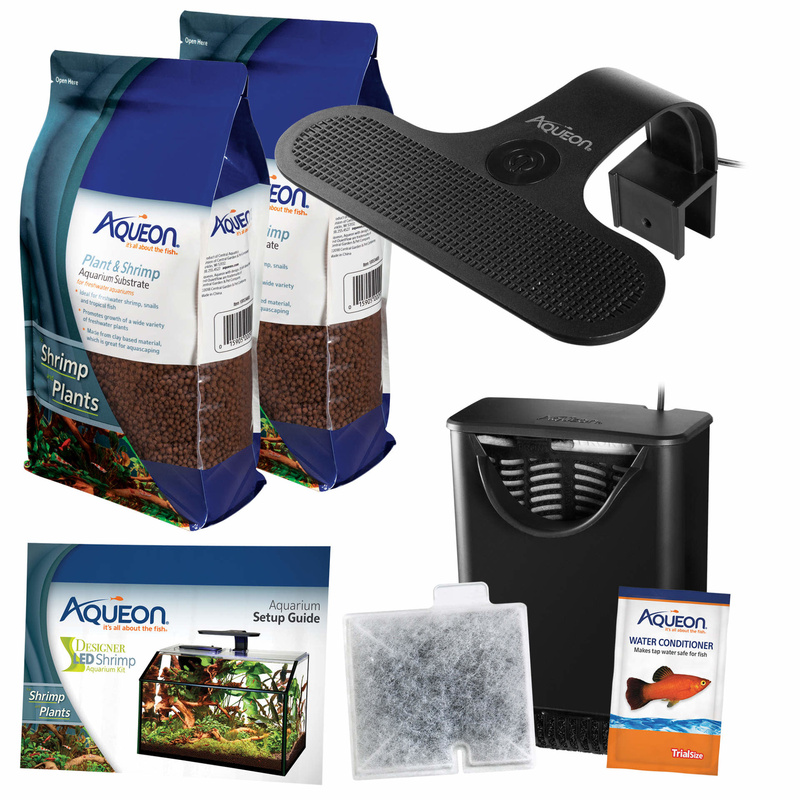 The filtration is essential; the Aqueon QuietFlow® Internal Shrimp Filter includes medium carbon cartridge and has a unique removable protective pre-filter sponge, which prevents shrimp from entering the filter housing. This kit includes the essentials to get you started.